Facebook and Twitter are relying on advice from a hate group to help them decide what’s acceptable for their platforms. 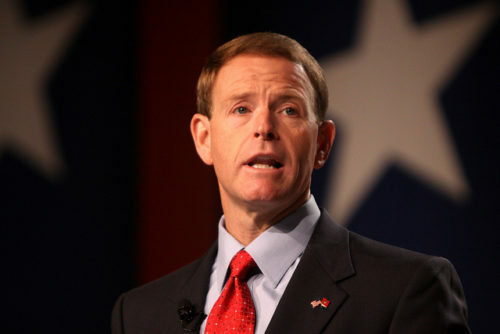 The Wall Street Journal reports that the social media giants have been getting advice from Tony Perkins, the president of the Family Research Council (FRC), an SPLC designated hate group. And he even went so far as to support a 2010 bill in Uganda that would have applied the death penalty to homosexuality, saying that it would “uphold moral conduct that protects others and in particular the most vulnerable.” Perkins also denounced Barack Obama’s “preoccupation with defending homosexuality” when the then-president criticized the bill. The Wall Street Journal reported that Facebook and Twitter sought advice from other far-right groups that are associated with fake news, propaganda, and hate speech, like the Heritage Foundation. They also reportedly talked to the Southern Poverty Law Center on the left. An unnamed executive told the Wall Street Journal that they were seeking “political protection” from the accusation that they’re biased against conservatives. If that’s true, it’s indicative of the problem. Someone like Perkins is apparently considered worth appeasing, and his lax definition of hate speech can have repercussions for the people who use the platforms.